[Photo: Stephen Wilkes] Ariel Schwartz contributed to this report. Ariel Schwartz contributed to this report. His company’s latest victory in that battle? The announcement that Ford is partnering with Microsoft to integrate its Hohm technology into new EVs. Up until now, the home energy management service hasn’t been that exciting. It doesn’t have many utility partners yet, which means that the most important information of all–ongoing energy consumption data–isn’t available to most users. 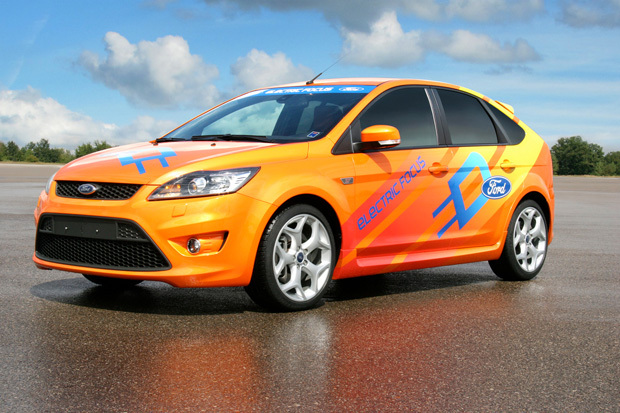 But Hohm is about to get a major boost with today’s announcement that the service will be integrated into the Ford Focus Electric in 2011, another unnamed hybrid in 2012, and a third, yet unnamed hybrid in 2013. As part of the partnership, Hohm will assist drivers in figuring out the best time to juice up their vehicles based on when electricity rates are lowest. The service might indicate, for example, that electricity is cheapest between midnight and 6 a.m. on a certain day–a potentially money-saving piece of data. In addition to saving drivers cash, the feature will also hopefully help utilities reduce consumption during times of heavy stress on the electric grid. And that means less of a chance that the grid will fail when, say, 100,000 people in a certain area are all trying to charge their EVs at the same time. (Watch more info on Hohm in the video here). The Ford CEO is still right behind the combustion engine, too–he also exhorted the political classes to pull their collective fingers out. “Governments around the world are going to have a tremendous role to play,” he said, suggesting they should offer consumers incentives to get on board the new technology. The best place, after all, for EV- and hybrid-spotting, is either Hollywood or Silicon Valley. 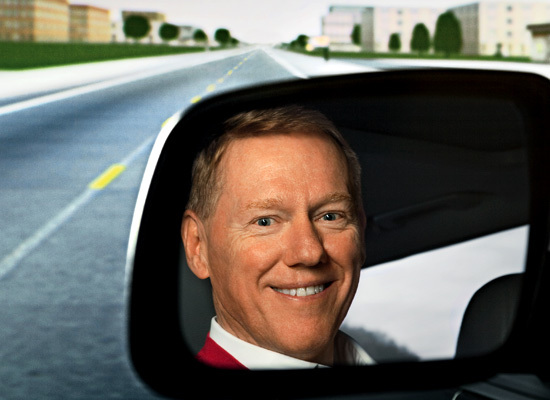 But Mulally didn’t miss the opportunity to pat himself and his company on its collective back, either, given that they avoided government bailout bucks in one of the bleakest times in American history for auto makers. “I’m very pleased we respected all our debt-holders and all our stockholders,” he said. Below, Fast Company‘s own Paul Hochman talks to Julius Marchwicki, Ford’s SYNC Product Manager, and Jim Buczkowski, Global Director of Electrical and Electrical Systems at the Nwe York Auto Show.